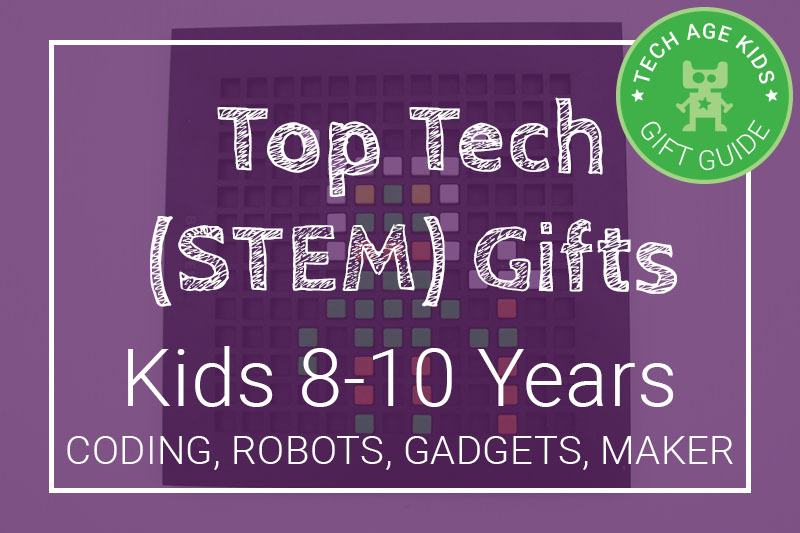 There are some fab tech gifts available for girls and boys age 8 to 10 this year. 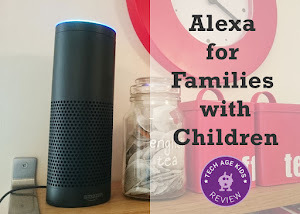 Our focus at Tech Age Kids is on the products that encourage kids to explore technology creatively, develop STEM/STEAM skills and encourage healthy tech use as part of a balanced life. 8 is the lower end of the age range for lots of tech products. Kids manual dexterity has improved, most can read well and they are willing to invest time to follow more complex instructions. 8-10 is an important age for encouraging healthy use of technology. Kids can start to move away from toys and playing outside and fall into a pattern of spending too much time passively consuming content on a tablet or PC. 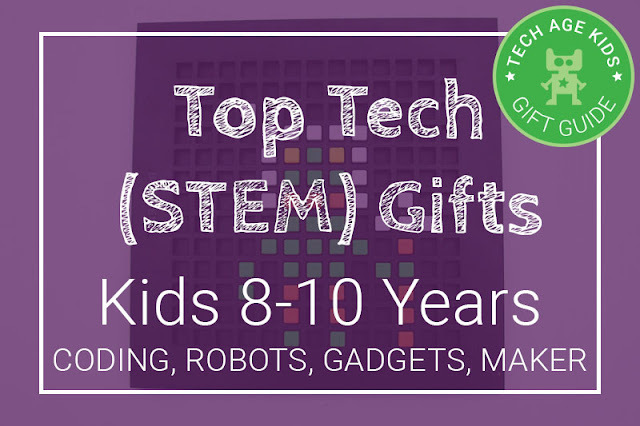 We've chosen gift ideas that will encourage kids to develop STEM/STEAM skills and be creative with their use of technology. K'Nex is a great alternative-to-LEGO construction kit for children. The K'Nex Power and Play comes with a motor which you use to bring movement to your creations. You get a lot of K'Nex pieces and can make 50 different builds. Not all the builds include the motor, but there are some really clever builds in the kit. It's definitely suitable for 8 and even below for some capable builders. Thinkfun have a range of brilliant toys to develop creative and logical thinking skills. We're loving the Circuit Maze this year. 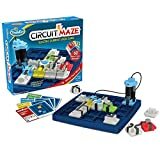 It's a one player game and work through 60 challenges whilst applying logical thinking to solve electrical circuit problems. An excellent choice for those times you need to separate the kids and get one engaged in a quiet, screenless activity. Want your kids to build their own toys? Well the Star Wars Driod Inventors Kit by littleBits (new for this year) makes this possible. 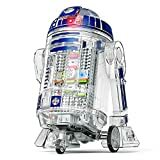 The kit includes everything you need to build an app controlled R2 robot. The robot is made of clear plastic, so you can see the littleBits circuitry. We love littleBits and have written lots about them on Tech Age Kids. 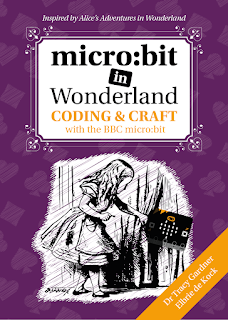 It's a fantastic tool for children to create, make, invent and learn about electronics. This kit would even appeal to those kids that don't enjoy making because you end up with a super cool robot which you can control with a mobile app (Andriod & iOS). The app also includes several missions and challenges. The 3Doodler Start is a 3D pen specifically designed for children and it's so fun to create 3D designs. This year 3Doodler have expanded the brand and brought out specific kits with the 3D pens. We really like the robotics kit, which includes a small motor to create moving creatures, structures and creations. The kit also includes with an activity guide, plastic templates and 4 packs of plactic. We've reviewed the 3Doodler pen and would highly recommend it for children that love to create and make things. 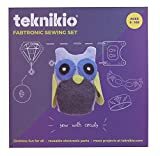 Teknikio makes craft and electronics kits to spark creativity with technology. We love their custom LEDs perfect for e-textile and electronics projects. The sewing kit comes with the cutest diamond shaped LEDs. These kits make a fantastic modern alternative to a standard craft kit for a tech loving kid. Also check out their origami kit which we reviewed on the blog. VR is a hot tech trend at the moment but most VR devices are not recommended for use by children. The Viewmaster Deluxe VR Viewer on the other had is actually designed for children aged 7 and up. It doesn't have a neck strap so kids have to hold it with their hands - this protects their necks and means that they are unlikely to play for too long. The Viewmaster has its own kids-friendly apps and content and is also google Cardboard compatible. 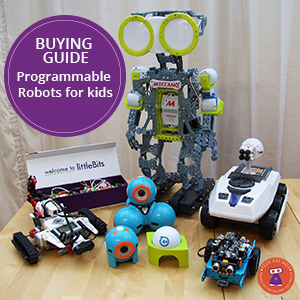 Great for kids who want to participate in the latest tech trends. For iOS households the VR Maze from Seedling is another way for kids to get into virtual reality. Kids get to build a physical maze and turn it into a virtual reality maze game. Sound cool? It is! 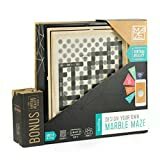 The Maze Starter Set includes the maze building kit, a cardboard VR headset to decorate and 2 DIY Virtual Reality Viewers to make and decorate (it's more fun if a friend or sibling can join in too!) There are other bundles too including sets with headphones to decorate. Bloxels allows kids to design, create and play their own video games on a mobile device. Kids design characters and game layouts using a board of physical pixels and the using the device camera to bring their creation into the Bloxels Builder app. The board is also used to add special features to characters. Bloxels has an initial cool factor with the physical board and pixels and the ability to create and play your own video games. But it's the focus on designing a game that really appeals to use. Kids really have to think about what makes a good game, not too hard, not too easy. Simbrix are small blocks that slide together to create pixel art that you can play with. They can be ironed but there's no need as they just stay together until you want to make something else. 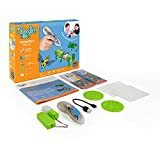 Simbrix is fab for kids who are obsessed with computer games to encourage them to spend some time doing an activity that develops their fine motor skills. Of course, they don't see it like that - they're just busy recreating their Minecraft skin in physical form. Simbrix have released a new kit which is coming at the end of November. Stay tuned. Rather than dragging kids away from their tech to encourage them to be more active we prefer to use tech in a positive way to promote physical activity. The Garmin VivoFit Jr is a wearable fitness tracker that allows parents to monitor activity and also manage chores. There's a fun app that goes with the device to get kids motivated. The Garmin VivoFit Jr comes in a choice of cool designs that will appeal to bigger girls and boys and only needs charging once a year. They can also wear it swimming. Somewhere around this age group most kids will move on to longer chapter books and be happy with books without colour pictures. An eReader is a great way to encourage them to read more while avoiding the distractions and bright light of a tablet. The Amazon Kindle for Kids Bundle packages a electronic ink eReader devices with a kid-friendly cover and warranty and comes without ads. The device has lots of features to encourage kids to develop new vocabulary and keep reading. All kids are different and there's a huge difference between what they can do completely independently and what they can learn a lot from when helped by a parent, grandparent or older sibling. We've tried to choose products that will be accessible to kids in the age 8-10 age range while offering enough breadth that they will challenge and appeal to those at the top end of the ability range. 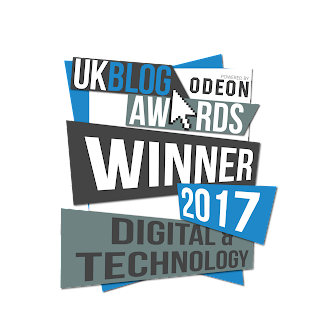 For 10 year olds who are really into their tech, make sure you check out our guide for tweens. For kids at the younger end of the age range with less experience check out our guide for younger kids.